One can also include strength training exercises in your water workouts. Water dumbbells are made to work against their buoyancy strengthens your muscle tissue. 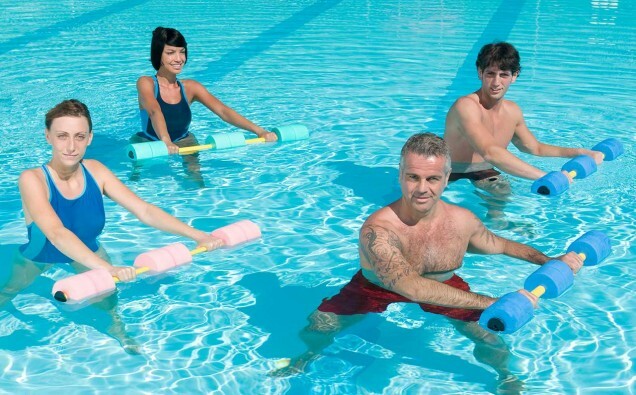 Water paddles are also available that can be used to push through the resistance of the water for strengthening exercises. You can use similar land strength exercises such as arm curls, arm extensions and side bends in the water.